The Town of Brighton was merged with Boston in 1874, and the Boston-Brookline border was redrawn to connect the new Back Bay neighborhood with Allston-Brighton. This merger created a narrow strip of land along the Charles River belonging to Boston, cutting Brookline off from the shoreline. It also put certain lands north of the Muddy River on the Boston side, including what are now Kenmore Square and Packard's Corner. The current northern border follows Commonwealth Avenue, and on the northeast, St. Mary's Street. When Frederick Law Olmsted designed the Emerald Necklace of parks and parkways for Boston in the 1890s, the Muddy River was integrated into the Riverway and Olmsted Park, creating parkland accessible by both Boston and Brookline residents. The whole of this neighborhood of Brookline is a kind of landscape garden, and there is nothing in America of the sort, so inexpressibly charming as the lanes which lead from one cottage, or villa, to another. No animals are allowed to run at large, and the open gates, with tempting vistas and glimpses under the pendent boughs, give it quite an Arcadian air of rural freedom and enjoyment. These lanes are clothed with a profusion of trees and wild shrubbery, often almost to the carriage tracks, and curve and wind about, in a manner quite bewildering to the stranger who attempts to thread them alone; and there are more hints here for the lover of the picturesque in lanes than we ever saw assembled together in so small a compass. Brookline residents were among the first in the country to propose extending the vote to women. Benjamin F. Butler, in his 1882 campaign for Governor, advocated the idea. Two branches of upper Boston Post Road, established in the 1670s, passed through Brookline. Brookline Village was the original center of retail activity. In 1810, the Boston and Worcester Turnpike, now Massachusetts Route 9, was laid out, starting on Huntington Avenue in Boston and passing through the village center on its way west. Steam railroads came to Brookline in the middle of the 19th century. The Boston and Worcester Railroad was constructed in the early 1830s, and passed through Brookline near the Charles River. The rail line is still in active use, now paralleled by the Massachusetts Turnpike. The Highland Branch of the Boston and Albany Railroad was built from Kenmore Square to Brookline Village in 1847, and was extended into Newton in 1852. In the late 1950s, this would become the Green Line "D" Branch. Brookline was known as the hamlet of Muddy River and was considered part of Boston until the Town of Brookline was independently incorporated in 1705. (The Muddy River was used as the Brookline–Boston border at incorporation.) It is said that the name derives from a farm therein once owned by Judge Samuel Sewall. According to the United States Census Bureau, Brookline has a total area of 6.8 sq mi (17.7 km2), all but 0.039 sq mi (0.1 km2) (0.44%) of which is land. The northern part of Brookline, roughly north of the D-line tracks, is urban in character, as highly walkable and transit rich. The population density of this part of town is nearly 20,000 inhabitants per square mile (8,000/km2), on a par with the densest neighborhoods in nearby Cambridge, Somerville and Chelsea, Massachusetts (the densest cities in New England), and just below that of central Boston's residential districts (Back Bay, South End, Fenway, etc.). The overall density of Brookline, which also includes suburban districts and grand estates south of the D-line, is still higher than that of many of the largest cities in the United States, especially in the South and West. 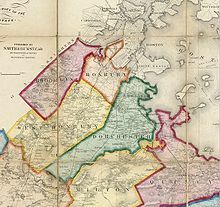 Brookline borders Newton (part of Middlesex County) to the west and Boston (part of Suffolk County) in all other directions; it is therefore non-contiguous with any other part of Norfolk County. Brookline became an exclave in 1873, when the neighboring town of West Roxbury was annexed by Boston (and left Norfolk County to join Suffolk County), and Brookline refused to be annexed by Boston after the Boston–Brookline annexation debate of 1873. Brookline separates the bulk of the city of Boston (except for a narrow neck or corridor near the Charles River) from its westernmost neighborhoods of Allston–Brighton, which had been the separate town of Brighton until annexed by Boston in 1873. The climate of Brookline is Humid continental Dfa. Brookline falls under the USDA 6b Plant Hardiness zone. : * = population estimate. There were 25,594 households out of which 21.9% had children under the age of 18, living with them, 38.4% were married couples living together, 7.1% had a female householder with no husband present, and 52.2% were non-families. 36.7% of all households were made up of individuals and 10.1% had someone living alone who was 65 years of age or older. The average household size was 2.18 and the average family size was 2.86. In the town, the population was spread out with 16.6% under the age of 18, 11.7%, from 18 to 24, 37.3% from 25 to 44, 21.9% from 45 to 64, and 12.4% who were 65 years of age or older. The median age was 34 years. For every 100 females, there were 82.6 males. For every 100 females age 18 and over, there were 79.1 males. The median income for a household in the town was $66,711, and the median income for a family was $92,993. Males had a median income of $56,861 versus $43,436 for females. The per capita income for the town was $44,327. About 4.5% of families and 9.3% of the population were below the poverty line, including 5.3% of those under the age of 18 and 7.5% of those ages 65 and older. Serving as a residential zone for nearby academic and medical institutes such as Harvard Medical School and Boston University, the town of Brookline was reported as the city with the most doctoral degree holders (14.0% of the total population) in the United States. Brookline, along with the nearby Boston neighborhood of Brighton and the city of Newton, is a cultural hub for the Jewish community of Greater Boston. The Greek Orthodox Archdiocese of America Metropolis of Boston is headquartered in Brookline. There have been three Poet Laureates of Brookline: Judith Steinbergh, Jan Schreiber, and, currently, Zvi Sesling. St. Aidan's Church was where John F. Kennedy was baptized and where the Kennedy family and other prominent Irish-Americans were parishioners. The church was designed by architect Charles Maginnis, who was awarded the American Institute of Architects' gold medal. Although it is listed on the National Register of Historic Places, St. Aidan's Church has been closed and converted into housing. Coolidge Corner, which is located at the crossing of Beacon Street and Harvard Street, is one of Brookline's two primary retail districts (the other being Washington Square). It includes a number of historically significant sites, including the S.S. Pierce Building, and the Coolidge Corner Theatre. The town is served by the Public Schools of Brookline. The student body at Brookline High School includes students from more than 50 countries. Many students attend Brookline High from surrounding neighborhoods in Boston such as Mission Hill and Mattapan through the Metropolitan Council for Educational Opportunity (METCO) system. There are eight elementary schools in the Brookline Public School system: Baker School, Coolidge Corner School, Driscoll, Heath, Lawrence, Lincoln, Pierce, and Runkle. As of December 2006, there were 6,089 K-12 students enrolled in the Brookline public schools. The system includes one early learning center, eight grades K-8 schools, and one comprehensive high school. The Old Lincoln School is a surplus building used by the town to temporarily teach students in when another school building is being renovated. It was rented in 2009 as the venue for the play Sleep No More. Several private primary and secondary schools are located in Brookline. Several institutes of higher education are located in Brookline. Also, parts of the following are located in Brookline: Boston University including Wheelock College, Boston College, and Northeastern University's Parsons Field. Brookline is served by the C and D branches of the MBTA's Green Line trains, with inbound service to downtown Boston and outbound service to Newton. The B line runs along the town's northern border of Commonwealth Avenue in Allston. Brookline is served by several MBTA bus routes. The town of Brookline is protected full-time by the 158 paid, professional firefighters of the Brookline Fire Department (BFD). It currently operates out of five fire stations located throughout the town, under the command of a Deputy Chief per shift. The BFD also operates a fire apparatus fleet of four engines, two ladders, one quint, one cross-staffed rescue (special operations), two squads, one special operations unit, one decontamination trailer, two maintenance units, as well as numerous other special, support, and reserve units. The Brookline Fire Department responds to approximately 6,500 emergency calls annually. The current Chief of Department is John F. Sullivan. Harvey Cushing, "father of modern neurosurgery"
Scenes from American Hustle (2013) were filmed in Brookline. Scenes from The Next Karate Kid (1993) were filmed in Brookline. June Osborne / Offred, the protagonist of The Handmaid's Tale (2017–present), is from Brookline. ^ "Population and Housing Occupancy Status: 2010 – State – County Subdivision, 2010 Census Redistricting Data (Public Law 94-171) Summary File". U.S. Census Bureau. Retrieved July 3, 2011. ^ Dudley, Dean (1871) (1871). Brookline, Jamaica Plain and West Roxbury Directory for 1871; Containing a General Directory of the Residents, Town Registers, Business Directory, Map, &c., &c. Boston: Dean Dudley & Co. pp. 15–16. The name of Brookline came, as the late Rev. Samuel Sewall (great grandson of Judge Samuel Sewall) conjectures, from one of the farms within its bounds, namely the Gates' farm, hired of Judge Sewall, which was probably called Brookline because Smelt-brook, running through it, formed the line between that and one of the neighboring farms, and this brook also separated that farm from Cambridge. Judge Sewall, in his journal, often mentions the name "Brookline" before the town was incorporated. Rev. Mr. S. also thinks it was Judge Sewall that suggested that name for the town. ^ "Map - Brookline Neighborhood Alliance" (PDF). Archived from the original (PDF) on August 11, 2007. Retrieved July 24, 2007. 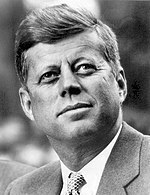 ^ "Brookline Town website: Neighborhood Associations". Brooklinema.gov. Archived from the original on February 20, 2012. Retrieved December 31, 2011. ^ "Brookline, MA Weather Data". Open Publishing. 2009. Retrieved February 21, 2014. ^ | <USDA.gov= > "USDA Plant Hardiness Zone Map". Agricultural Research Center, PRISM Climate Group, Oregon State University; USDA. 2012. Archived from the original on February 27, 2014. Retrieved February 21, 2014. ^ "2010-2012 American Community Surver 3-Year Estimates". 1: Total Population. American Community Survey. 2012. Retrieved April 19, 2014. ^ |Berman Jewish Databank = <jewishdatabank.org= > Combined Jewish Philanthropies of Greater Boston (CJP), Berman Jewish Databank (2005). "Greater Boston 2005 Community Study". Berman Jewish Databank. Berman Jewish Databank. Retrieved February 23, 2014. ^ "Metropolises" . Greek Orthodox Archdiocese of America. Retrieved on February 9, 2014. "162 Goddard Avenue, Brookline, MA 02445 "
^ "The William Bowditch House". Archived from the original on July 27, 2007. Retrieved September 12, 2007. ^ "The Samuel Philbrick House". Archived from the original on November 1, 2003. Retrieved September 12, 2007. ^ "Town Government". Brooklinema.gov. Archived from the original on December 21, 2008. Retrieved December 31, 2011. ^ "Public Library of Brookline website". Brooklinelibrary.org. Retrieved December 31, 2011. ^ "Harvey Cushing: A Journey Through His Life: Marriage and Family". Yale Medical Historical Library. Retrieved August 3, 2015. ^ a b "Productions made in Massachusetts". MA Film Office. Retrieved February 23, 2014. ^ "'The Handmaid's Tale' Recap: The Business of Being Born". EW.com. Retrieved September 8, 2018. ^ "Quezalguaque". Brookline Sister City Project. Retrieved March 3, 2014. Keith N. Morgan, Elizabeth Hope Cushing, and Roger G. Reed. Community by Design: The Olmsted Firm and the Development of Brookline, Massachusetts (University of Massachusetts Press; 2012) 384 pages; Discusses Brookline as a laboratory for Frederick Law Olmsted Jr.
Wikimedia Commons has media related to Brookline, Massachusetts. 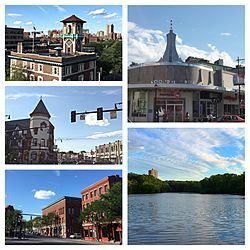 Wikivoyage has a travel guide for Brookline. Wikisource has the text of the 1911 Encyclopædia Britannica article Brookline.